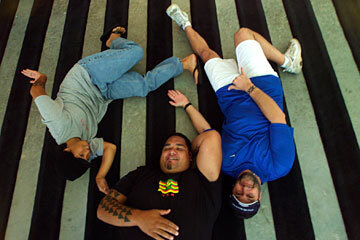 The Mana'o Company will reunite with its founding members at Saturday's Winter Music Festival. THIS WEEKEND promises to be a blast from the past for island music fans, thanks to South Pac Entertainment and the second annual Winter Music Festival at the Waikiki Shell. For the first time in more than a decade, the Mana'o Company will perform with founding members Danny Kennedy and Sean Na'auao on the same stage at the same time. Also on the bill is Bruddah Waltah and the Island Afternoon Band, who will play together for the first time since the singer returned to performing in the islands last year. "We're just trying to do something different," said South Pac Entertainment CEO Donny Kadokawa. "We want to spread the aloha while giving back to the community." According to Kadokawa, 15 percent of the proceeds from ticket sales will benefit Child and Family Services, while another 10 percent will be donated to the family of Steve Favela, the Honolulu police officer who died following an accident that occurred while he was escorting President Bush's motorcade in November. 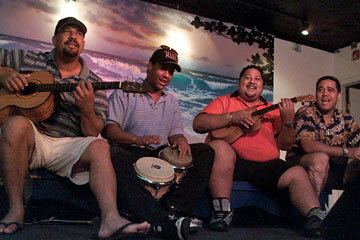 Other local acts scheduled to perform Saturday include Natural Vibrations, the Next Generation and Kauai's Papa'a Bay Boys. Reggae artist Kymani Marley also will travel to Honolulu for the concert. Also up for grabs is a tricked-out Chevy S-10, courtesy of Revolution Motorsports. In addition to 20-inch rims and a custom stereo system with alarm, the truck has been fitted with a custom tonneau cover, and T&T Tinting tinted the windows. One lucky concertgoer will walk out of the Shell with the keys at the end of the night on Saturday. Also performing is Natural Vibrations.